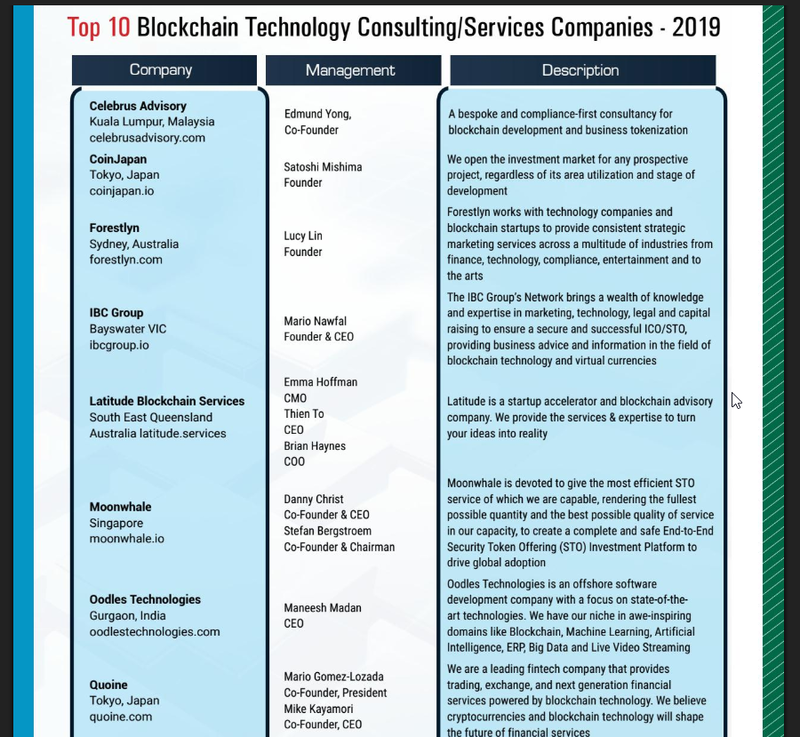 Heartiest congratulations to the Celebrus Advisory team for being on the prestigious Top 10 Best Blockchain Technology Consulting Companies 2019 list by APAC CIO , a renowned publication based in Silicon Valley (USA). Other companies in the Top 10 list include CoinJapan, Quoine, and VeriChain Lab. About Celebrus Advisory: Celebrus Advisory is a bespoke and compliance-first consultancy for blockchain development and business tokenization. While we believe that blockchain will help you unlock the future digital economy, we want to help you get there the right way without taking shortcuts or skipping due diligence. This is where we make a stand, and in so doing, we unwittingly stand out from others.